Thoughts from Polly's Granddaughter: David Tadpole Stood for His Beliefs, I Do Too. David Tadpole Stood for His Beliefs, I Do Too. 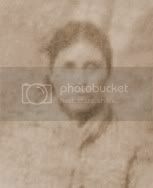 During the US Civil War, my great great great grandpa, David Tadpole, signed up to protect the Cherokee chief, John Ross. Later, when Chief Ross decided to side with the Confederacy, my ggg grandpa went back home, refusing to fight against the treaty the Cherokee Nation had with the United States. Despite his loyalty to the chief, his convictions led him to take a different side than his chief. He later enlisted with the Indian Home Guard, Union, when given the opportunity. Today, following in the footsteps of my great great great grandpa, David Tadpole, I, too, must do what I feel is right and take a different side than my chief, Bill John Baker. I do not support or agree with the statement he released today. My opinion is that he should have requested apologies from both campaigns, Warren's and Brown's, for their offensive behaviors or he should have not requested an apology at all. Because Chief Baker was a Democratic National Delegate this year, I believe his statement was politically motivated and meant to give the Democratic candidate, Elizabeth Warren, a boost. But what Elizabeth Warren has done is much worse, in my humble opinion, than any tomahawk chop Brown's people have done. By taking a Cherokee identity she has no right to, she has committed an act of colonization. She has usurped Indigenous identity, just as her ancestors stole the land and resources. It's a hostile act of genocide and it is not okay. But Baker is willing to overlook that. He said, "I will not be silent when individuals mock and insult our people and our great nation." I think what he meant was he will not be silent when Republican individuals mock and insult our people and our great nation. At least that is what his actions say. I know there will be some people who say Bill John Baker is the chief and I am just a citizen, so my opinion doesn't matter. Before they do, they need to remember one thing. 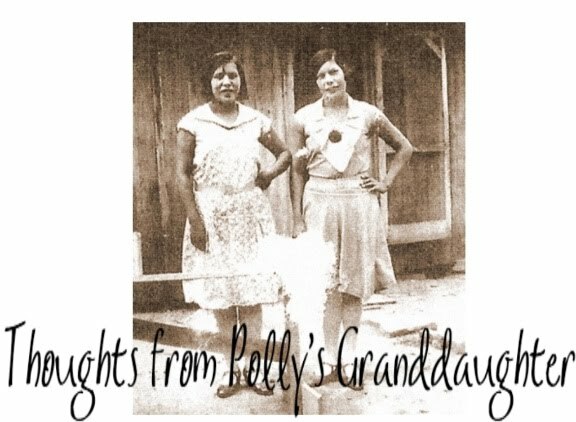 My ggg grandpa was just a citizen too, but in the end, we can see it was he, and other Cherokee citizens who served with him, who had the best judgement. The requirement for a bride to "obey" her husband (inferring the woman is a less-than-equal participant in the marriage relationship) has been out of style in modern-day wedding vows for quite some time. While I have a profound regard for indigenous people of North America as a whole, and their history, I don't pretend to fully understand or relate to all of the traditions and customs of individual tribes/nations. However, I would hope that in this era, tribal members are accorded the right of free speech and freedom of thought without intimidation. I say this, fully recognizing that politicians of member countries of the UN are, this very week, endorsing passage of a UN Law forbidding countries and their citizens from exercising freedom of speech. Furthermore, this past August, the U.S. President stated he would support a constitutional amendment restricting freedom of political speech. Like you, Twila, I am quite concerned with Chief Baker's apparent comfort level with politicians who insult the history of the Cherokee Nation, and the intellect of individual members. I have no desire for any of us to be "just" citizens -- whether in marital relationships, as members of tribes/nations, or as citizens of the occupying Republic of the USA. Were it not for people like Twila, her ggg grandpa, and upstart white colonists who broke free from the tyranny of British rule, where would we all be now? Chief Baker, when you read this, please know that there are millions of indigenous and non-indigenous people in this country who thoroughly support the efforts made by Twila and others to uphold the heritage of your great Nation - the Cherokees .... and of your second great Nation, the Republic of the USA. I believe our chief may not know the whole story, hasn't seen the research and documentation that proves Elizabeth Warren isn't Cherokee. Perhaps if he is shown these documents, he will understand why there are citizens of the Cherokee Nation who stand up against this cultural thievery that Warren has undertaken. If he does know the facts and chooses to dismiss it, or if he doesn’t really care about the identity theft that Warren and others like her are perpetuating, then he will be, as some have said, a one-term chief. Chief Baker needs to hear his people and understand how important an issue this is, how it doesn’t matter what political party you favor, when you represent your nation, you need to be non-partisan. Good for you. Don't back down. I have been so impressed at your steadfast refusal to ransom your heritage to a political agenda. Especially when there is so much pressure to do so these days. Do not let this woman break you.